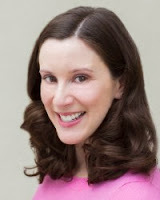 In August of 2013, author Hilary Levey Friedman published her new book entitled Playing to Win: Raising Children in a Competitive Culture. In her book and subsequent article in the November issue of The Atlantic, Ms. Friedman contends that parents send their children to competitive afterschool programs to gain advantages that they can utilize when they enter the workforce. In interviewing middle-class and affluent parents, she learned that there are five skills that parents hope their kids will acquire, which she calls "Competitive Kid Capital". Learning from loss: This teaches kids perseverance and focus—traits that are valuable as children move through life if they want to work toward successful outcomes. Are these skills truly important for young people's success? Can we teach them in afterschool and summer programs that include kids from all economic backgrounds? Or are they skills that can only be acquired in "pay-to-play" afterschool programs? We contacted Hilary Levey Friedman to ask about the history of competitive activities in afterschool programs and issues regarding their accessibility. She was very gracious in answering our questions, some of which is cited below. Q: You write about the intentions of middle to upper class parents regarding competitive afterschool youth programs. Did you find some programs that were more diverse in the participants? A: Dance parents that I interviewed offered the most diversity, with several working class families. They valued the same skill set of competitive kid capital, but they did not know how to leverage it as well in terms of college admissions. I like to say that ALL parents want what is best for their kids, and they make choices based on what is available and realistic for their families. I write more about this issue here, which I think is helpful to highlight. Q: Can you comment on the differences between free and "pay-to-play" afterschool programs? A: ALL afterschool programs offer invaluable skill development and life lessons. But not all free programs are able to offer the same level of developed, organized competition. Chess provides one way to do this, as it costs less than, say, soccer or other sports activities. Services by community non-profits are incredibly important for other reasons (like giving kids a safe space in the afterschool hours), but they can't always fill the competitive void-- even though historically this is where competitive afterschool activities come from, as I detail in Chapter 1 of the book. If you don't have the book the full chapter is available for download on UC Press' website. Q: This was not always true historically. Can you speak to this? A: About a hundred years ago, it would have been the lower-class children competing under nonparental adult supervision while their upper-class counterparts participated in noncompetitive activities, often in their homes. Children’s tournaments, especially athletic ones, came first to poor children—often immigrants—living in big cities. With the simultaneous rise of mandatory schooling and laws restricting child labor, worry mounted over the idle hours of children, which many assumed would be filled with delinquent or self-destructive activities. Urban reformers were particularly preoccupied with poor immigrant boys who, because of overcrowding in tenements, were often on the streets. Reformers’ focus was less on age-specific activities and more generally on “removing urban children from city streets.” Initial efforts focused on the establishment of parks and playgrounds, and powerful, organized playground movements developed in New York City and Boston. But because adults “did not trust city boys to play unsupervised,” attention soon shifted to organized sports. By the 1930s this pattern began to shift as a consequence of the Great Depression and as educational philosophies changed. During the Depression many clubs with competitive leagues suffered financially and had to close, so poorer children from urban areas began to lose sites for competitive athletic contests organized by adults. Fee-based groups, such as the YMCA, began to fill the void, but usually only middle-class kids could afford to participate. Dr. Levey Friedman matriculated at Princeton University, from which she earned a PhD in Sociology in 2009 as both a Spencer Dissertation Fellow and as a Harold W. Dodds fellow. During graduate school her research focused on competitive after-school activities (chess, dance, Kumon enrichment classes, and soccer), children’s work, and university commencement speakers. Dr. Levey Friedman recently completed a post-doctoral fellowship at Harvard University quantitatively studying youth sports injuries, supported by the Robert Wood Johnson Foundation. Below is an excerpt from a blog by middle school teacher, Heather Wolpert-Gawron, that was posted on the Edutopia website. You can get the whole piece by clicking here. This posting began with her asking 220 8th graders "What engages students?". We believe that these responses affirm the Learning in Afterschool & Summer principles. Below are some of their responses (see the complete article to review all the responses). 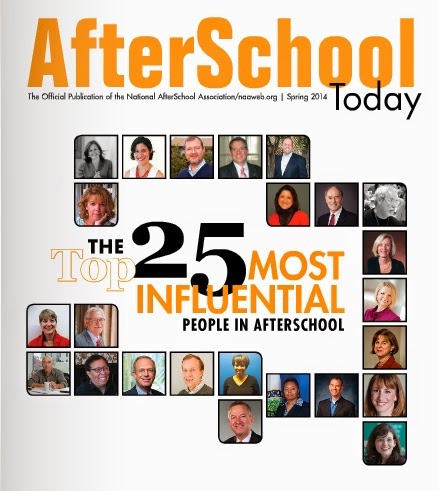 I felt truly honored when I was notified by the National AfterSchool Association that I was listed as one of the top 25 most influential people in afterschool. In looking at the full list, I was pleased that several of my long-time colleagues were also listed. It is important to note that the leaders of today's afterschool movement stand on the shoulders of many brave pioneers such as Michelle Cahill, Jane Quinn, Richard Murphy, and others. 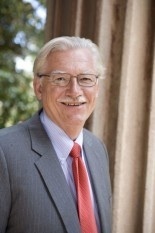 In California, the afterschool movement has been greatly influenced by many people including Jennifer Peck (Partnership for Children and Youth), Brian Lee (Fight Crime - Invest in Kids), and Michael Funk (formerly from the Sunset Neighborhood Beacon Center and current Director of the After School Division at CDE). We can all give thanks for their contributions to afterschool. JUDY NEE | Executive Vice President and General Manager, AlphaBEST Education, Inc.
Below, we interviewed SRI’s Ann House (Project Director of this study) to learn more. The results and implications of this study is a subject of several forums hosted by the California AfterSchool Network. Click here to learn more. Q: What were you seeking to learn in your study, Case Studies of Science Offerings in Afterschool Programs? A: Our case studies were conducted within a larger, 5-year NSF-funded research project, the Afterschool Science Networks study. 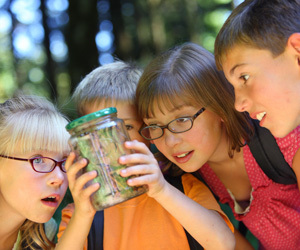 The project set out to examine the extent and types of opportunities for inquiry science learning in California’s large, publicly funded afterschool system. It explored the science offerings available to young people, and sought to understand the role partnerships and networks play in supporting science offerings. The case studies were an important component, providing an opportunity to observe science programming, and to better understand the contexts of the afterschool sites. 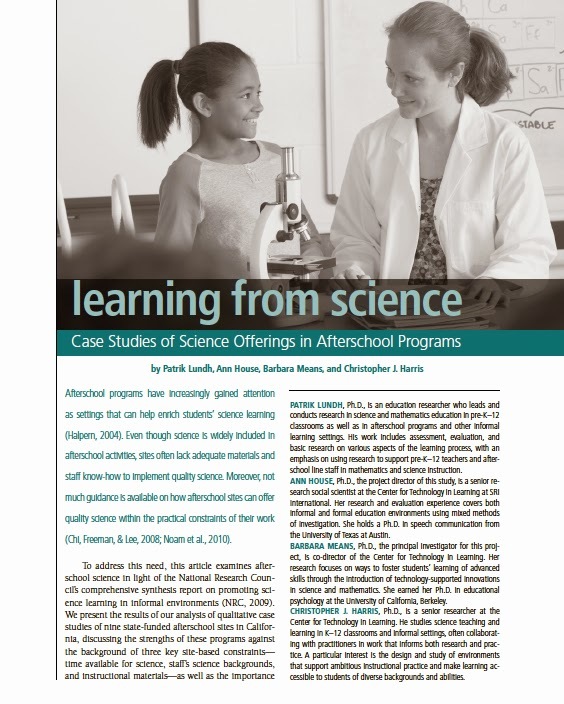 We selected case study sites we felt were providing rich, interesting, and frequent science offerings with good support, to help us identify the key factors relating to strong afterschool science. Q: What were the primary findings of your study? A: While the overwhelming majority of sites we studied offered some science programming, the afterschool science learning opportunities were constrained and shaped by limited time, and staff comfort with science. Sites tended to have 45 minutes to an hour for science activities, which after setting up and taking down, ended up sometimes amounting to no more than half an hour or so of actual activity. Another time limitation was that about half offered science once a week or more. The other half offered science less often. The fact that staff did not have training in leading science activities meant that science tended to be focused on keeping young people active and interested. This meant, for example, focusing on enjoying the reaction produced when you combine vinegar and baking soda, rather than exploring the underlying science content or providing opportunities to participate in inquiry practices. In the two cases where observed science activities were fairly rich, the facilitators of the activities had participated in professional development focused on how to facilitate science activities – an unusual opportunity. Facilitators at other sites did not have access to such training. Q: In terms of the limitations that were the result of staff capacity, do you think that the absence of skills on “inquiry-based activities” were more or less important than a background in science content? Can you say something about what you mean by “inquiry-based activities”? Facilitating children’s engagement in inquiry takes specific skills and insights that staff can learn. We believe the case study findings show that a science background is less important than having access to professional development focused on how to engage and lead children through inquiry-based activities. Someone with a science background may or may not have such skills. Furthermore, we believe that inquiry practices and mindsets are not specific to science, but can be applied to a range of other subjects and activities and empower youth and facilitators to be more skilled in problem solving, collaborating, and reflecting on the world around them. 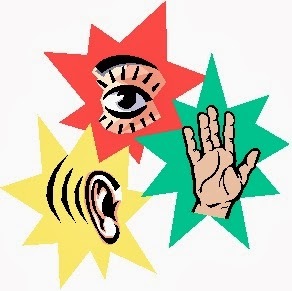 Q: Specifically, what core skills are required in leading effective “inquiry-based activities”? A: This is beyond the specific scope of our study, but our experience from this and other projects suggest that it’s important for staff in afterschool settings to understand their role as a facilitator of the children’s experiences rather than a teacher who delivers knowledge. We saw some instances of science activities that resembled unruly classrooms, where the children were primarily asked to sit still, listen, and follow directions. This did not allow for the kind of learner-centered approach that is essential both to good inquiry learning and good youth development practice. Facilitating discussions that help children synthesize their learning and experiences. Q: The LIAS project takes the position that youth workers need to make learning activities active, collaborative, meaningful, support mastery, and expand the horizons of the participants. This means everything from hands-on learning to knowing how to work as a unified group; from drawing on prior knowledge to working on real world issues; and working on activities over time that results in an accumulation of knowledge and skills. 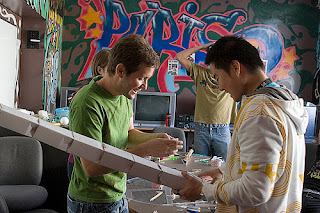 How do you think the LIAS principles relate to leading STEM activities? A: We believe that LIAS principles are very well aligned with inquiry science activities. For example, conducting investigations, collecting data, and designing solutions make learning activities active, meaningful, and support mastery. 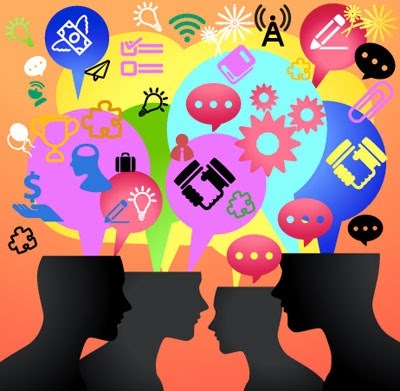 Engaging in scientific reasoning and argument provides additional skill development, deepens the meaningfulness of activities and often involves collaboration. Finally, while investigating science phenomena and designing solutions in and of themselves broaden youth’s horizons in terms of opening up their understanding of the world and empowering youth to engage with the world, their horizons can also be broadened in terms of learning more about STEM-related careers and how STEM skills and knowledge can help them become more informed citizens. It’s important to note that STEM activities need to be facilitated in ways that attend to children’s thinking, interests, and learning process. Asking youth to follow specific instructions without providing the opportunity to learn about or explore their world using scientific practices does not deeply address LIAS or STEM learning principles, even if the activity covers science topics. 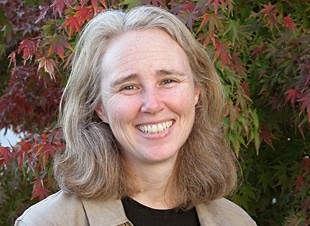 Ann House, Ph.D., the project director of this study, is a senior research social scientist at the Center for Technology in Learning at SRI International. Her research and evaluation experience covers both informal and formal education environments using mixed methods of investigation. She holds a Ph.D. in speech communication from the University of Texas at Austin.